Get Your Name On A Red Arrows Plane! ‘Names on a Plane’ is a once-in-a-lifetime opportunity from the RAF Museum for everyone to be a part of the RAF’s history. The Royal Air Force Museum has created an exciting new campaign which offers members of the public the opportunity to have their name written on the wings of an RAF Red Arrows Hawk Jet that will fly throughout the Red Arrows’ 2017 display season. 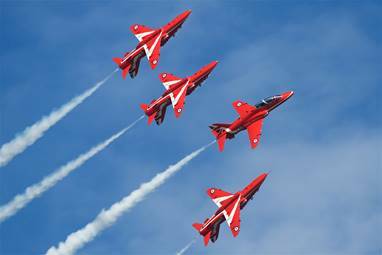 For one spectacular season of air shows and celebrations, the underside of one of the Red Arrow’s Hawk Jets will display names chosen by members of the public who have contributed to this unique campaign. From a donation of just £30, these can be the names of the people themselves, or dedications to friends and relatives. The ‘Names on a Plane’ campaign will raise funds for the Museum’s RAF Centenary Programme. 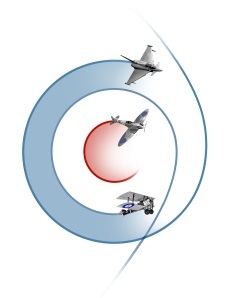 2018 marks the centenary of the Royal Air Force. 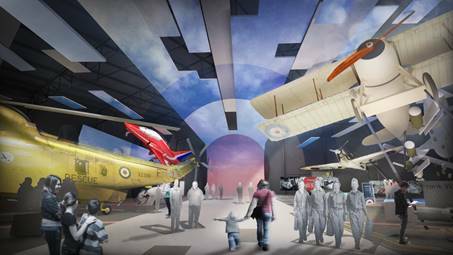 The award-winning RAF Museum will celebrate and commemorate this anniversary through a major transformation of its visitor experience, sharing the RAF story on site and online.